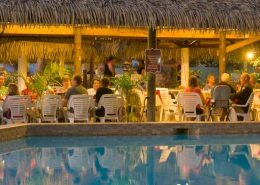 This is the largest resort in the Cook Islands and offer a variety of room categories, from newly renovated garden rooms to the spacious absolute beachfront suites and for extended families and friends. Located just 10 minutes from town, guests also have easy access to some extra facilities & attractions including the market, cinema, cafes and bars. 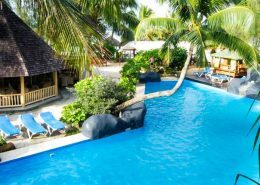 6 night Cook Islands holiday package deal @ Edgewater Resort. Excellent Value. 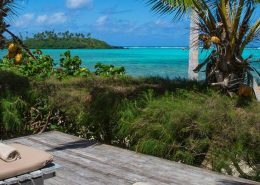 This Cook Islands holiday package offers the perfect introduction to the beauty and charm of the Cook Islands. The Edgewater Resort & Spa is set on a beautiful beach, perfect for a relaxing holiday escape. 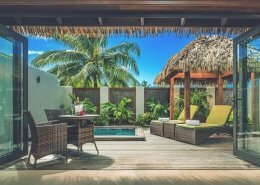 This is the largest resort in the Cook Islands and offer a variety of room categories, from newly renovated garden rooms to the spacious absolute beachfront suites and for extended families and friends. Located just 10 minutes from town, guests also have easy access to some extra facilities & attractions including the market, cinema, cafes and bars. Valid for travel 01 November 2019 to 31 March 2020 (high season surcharges apply). Sale to 31 March 2019. Just home from a 6 night stay at the Edgewater, a lovely location with very friendly and helpful staff. Enjoyed a couple of great meals at the spaghetti house also the main resturant. We had a garden villa that was great for a family, plenty of room . Watching the sunset while you enjoy a glass of wine was simply beautiful. We loved Rarotonga so much such a laid back relaxing place. *Terms & conditions apply: Valid for travel 01 November 2019 to 31 March 2020. High season surcharges apply. Sale to 31 March 2019. Transfers not included for kids in above package. Up to 2 children under 12 years stay free, depending on room type. Prices shown are a guide only, based on low season availability & subject to change. Price per adult, twin share based on Air New Zealand sale fare, valid for new bookings only. Airfare prices will alter depending on travel dates. Other conditions may apply.